Sea Quest Heros versus Dementia! Posted May 15th, 2016 by Mike Boyes & filed under Adult Development and Aging, Basic Cognitive Functions In Aging: Information Processing Attention Memory, Clinical Neuropsychology, Health and Prevention In Aging, Health Psychology, Memory, Neuroscience, Physical Changes In Aging, Successful Aging. Description: How might you playing an app based game help neuroscientists diagnose dementia among the elderly? Not sure? Well, the loss of spatial skill or the ability to navigate is an early symptom of the onset of dementia. So how about now, how might you answer that opening question? Give it some thought have a then look at the article linked below see how your speculations match with an emerging reality. Source: This videogame could help doctors diagnose dementia, Meera Senthilingam, CNN Health. 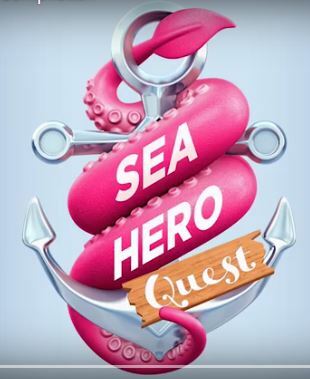 Neuroscience researchers are asking people around the world to spend some time playing a game called Sea Hero Quest in which players search the earth for certain artifacts in the form of memories. The hope is, that once they have the data from over 100,000 people having played the game they will have a clearer picture of the normal range of navigation skills as reflected in game performance. 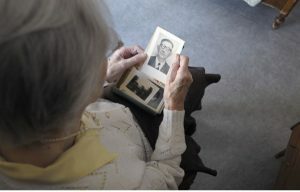 Once they’ve established this baseline and conducted some brain scanning studies of volunteers playing the game they can use the performance of individuals over time to look for drops in spatial ability that maybe early indicators of the onset of dementia and which could lead to earlier assessments, earlier treatments, and less impact on the individuals identified. Dementia is preventable in about one third of cases (see link below in the references section). Last year over 46 million people across the globe were living with dementia. How might a large number of people playing a videogame be helpful in the development of an assessment for the symptoms of dementia? In addition to the game playing what other things might neuroscientists need to do to move forward with using video game performance is an assessment for symptoms of dementia? What are some of the other symptoms of the onset of dementia? Erol, R., Brooker, D., & Peel, E. (2015). Women and Dementia: A Global Research Review. Reppermund, S. (2016). Depression in old age—the first step to dementia?. The Lancet Psychiatry.